The sea unicorns, land unicorns, and their respective lions, are “mighty monoceroses with immeasured tayles” at the beginning of Moore’s poem, the very ones imaged by the “cartographers of 1530” (see post below). 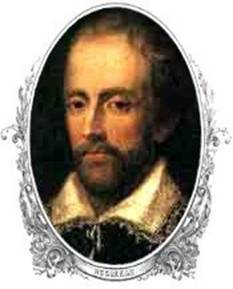 Moore credits “Edmund Spenser” with the long-tailed animals. We will not quibble here about the niceties of textual criticism in The Faerie Queene; suffice it to say that Moore chose a text in which the monoceros appeared in its plural form, in Book II, the tale of Guyon and Palmer at sea. Unweeting what such horror strange did rear. Mighty Monoceroses with inmeasured tails . . . .
Moore’s interest in Spenser was not limited to this poem: witness “Spenser’s Ireland.” The several references in her Prose confirm her reading in the poet’s work. 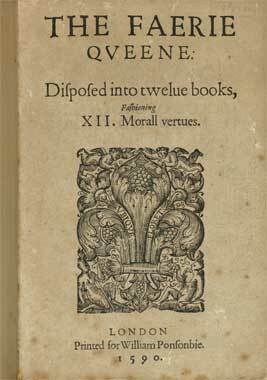 She notes that as a child she read “the classics,” including Spenser (Prose, p. 662). In a Dial essay on Alfeo Faggi she quotes three lines from “Prothalamion” (p. 73). Spenser was on her mind when she reviewed Yeats (p. 294) and W. W. E. Ross (p. 297) in 1933. She sees traces of Spenser in Garcia Villa (p. 371). And in “Humility, Concentration, and Gusto,” one of her major statements on poetics and technique, she elaborates the value to her of Spenser’s Shepheards Calendar (p. 425). Spenser (he lived in Ireland) joins the list of Anglo-Irish writers that mattered to Moore–about which more later. The animals she wrote about in the 1920s and earlier are mostly familiar ones: a house cat, an elephant, a swan and ant. With “The Jerboa” she begins writing about unfamiliar ones. As far as influences go, she often went to lectures at the Brooklyn Institute of Arts and Sciences during the 1930s, where she heard many lectures on natural history and saw many Burton Holmes travelogues (consisting of photos and narrative). She had been reading Stevens when she wrote the poems, and I think these two poems form a pair much like his “The Snow Man” and “Tea at the Palaz of Hoon” do. What a wonderful connection. Could the animals in “An Octopus” serve as a transition? They are neither domestic nor exotic but wild: mountain goat, brown bear, marmot (replaced badger), water ouzel, ptarmigan..To be fair, though, there are creatures I she probably knew from home, or from Monhegan–chipmunk, eagle, or ones common at the lower levels of the park, such as beaver, elk, deer, wolves, etc. What do you think is the true source of her interest in unusual animals? I know she studied biology at Bryn Mawr, but why her interest in UNUSUAL animals? Is it just her atavistic Victorian-ness?